You might have noticed juice bars and smoothie shops selling something that looks like regular lawn grass. Don’t be fooled – this is wheatgrass, a nutritious plant with a lot of potential health benefits. Check out gardening for related topics. Most users drink about 2 ounces once or twice a day, though more can be taken if you can tolerate it. Growing wheatgrass from seed is easy to do but requires a little work to get started. Despite the extra work, as opposed to just buying some already grown, this method allows you to control every variable to ensure you’re getting the best wheatgrass possible. 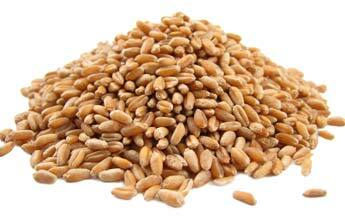 Soak the wheatgrass seeds in water for 8 to 12 hours. Prepare your growing tray by poking a few small holes in the bottom of the growing tray and in the lid. This lets water drain and improves airflow. Prepare your soil mixture by mixing a combination of potting soil, peat moss, compost, and a little vermiculite. Plant the seed on top of your soil and cover very lightly with dirt. Place near a window that gets good natural light or under a grow light. If using a grow light, leave it on for 12 – 14 hours a day. Keep the lid on during this time. During the first 2 – 3 days of growth, water once in the morning until the soil is very moist. After the third day, remove the lid. Plenty of wheatgrass shoots should be popping up and growing. After 7 – 12 days, the wheatgrass should be tall enough for harvest, about 7 – 8 inches tall. Cut your wheatgrass just above the soil. If you have leftovers after juicing, wheatgrass can be stored in a container inside your refrigerator for about a week. The easiest way to grow wheatgrass is by using a kit. A wheatgrass kit contains everything you need to get started and reduces the mystery about how to grow wheatgrass. Most wheatgrass kits include seeds, a growing tray, soil, and maybe a fertilizer or azomite. Once you have your kit, the process is basically the same as outlined previously for growing wheatgrass from seed. If the wheatgrass kit comes with instructions, be sure to use those as well.